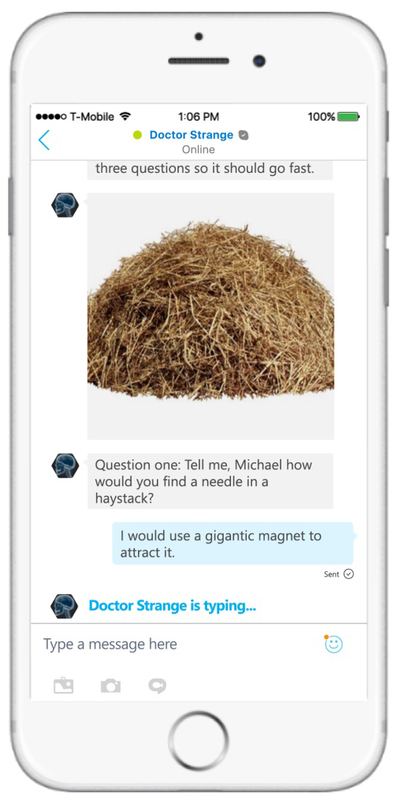 In the spring of 2016, Microsoft introduced you to a new world of conversational computing—where conversations become the new platform. This paradigm shift is enabling their machines to harness the power of human conversation, leading to endless improvements in efficiency, intelligence, and, of course, fun. In 2017, Microsoft can’t wait to show you how they’re pushing this shift even further. At the forefront of this push is Skype. 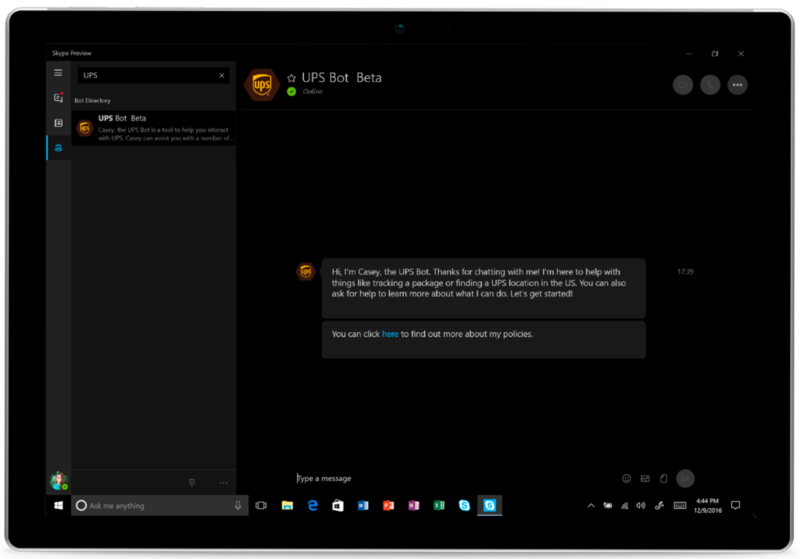 Since the emergence of conversational computing Microsoft has seen an ever-growing presence of bots. While they’re still in the early days of innovation, they believe that they’re truly changing the way consumers engage with their partners. And Microsoft partners? They’re already demonstrating this tidal shift. 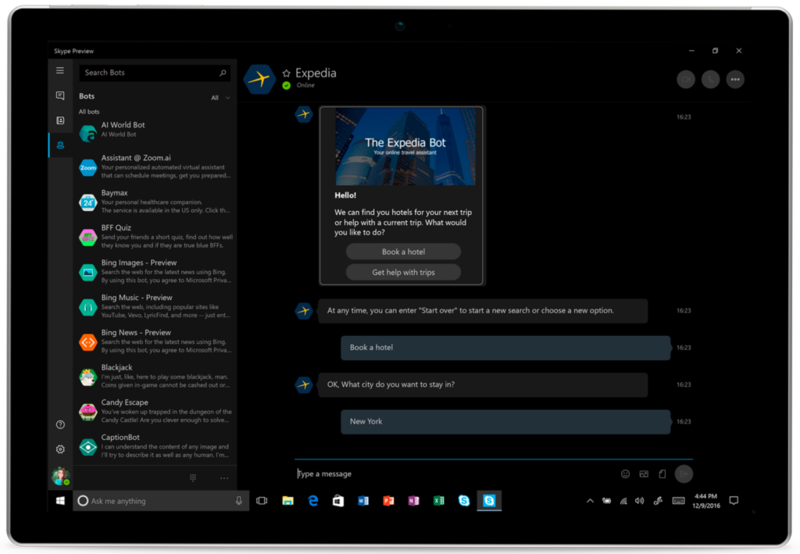 One of those new partners is Expedia.com, coming soon to all Skype platforms. With the Expedia bot, you can easily search for hotels, quickly book, manage reservations, and confirm or cancel hotels and flights. And should you ever have a question the bot can’t answer, Expedia is proud to be one of the first bots that allows calling directly to Expedia, free of charge. Like travel, Microsoft has also seen innovation in the shipping space. Their partner UPS has created a bot on Skype that can track packages, calculate shipping rates, and find a user’s local branch. Again, Microsoft sees a future without rigid search forms or one-size-fits-all FAQs. Today, Skype consumers can ask personalized questions and get personalized answers, making their lives more efficient in real, tangible ways. But what about fun? Like, “transporting into the mystical realm of Marvel Studios’ Doctor Stephen Strange” fun? In November, Microsoft partnered with Marvel to bring Skype users into the world of Doctor Strange. Fans could send new emoticons to their friends, or they could test their mettle with the Doctor Strange bot*—a journey to see if you have what it takes to become his assistant. Or maybe “fun” to you is about getting out into the world? That’s great, because StubHub—the online event ticketing giant—has also joined Skype as a partner. 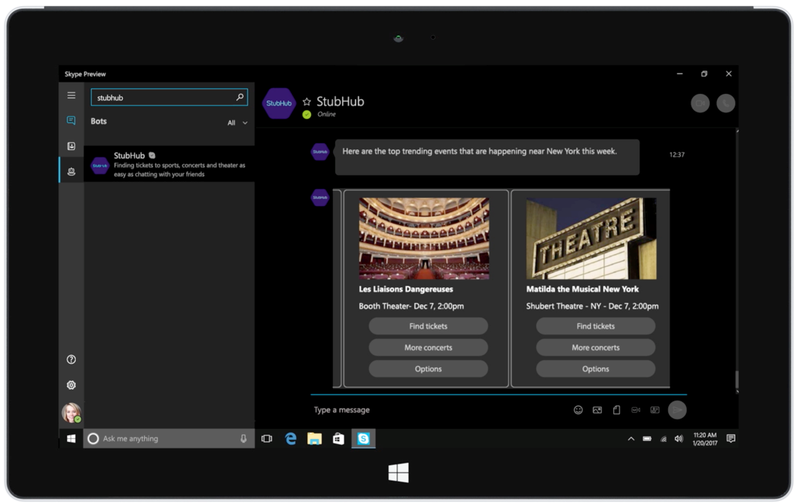 The StubHub bot will allow you to purchase tickets for rock concerts, sports events, or even your favorite stand-up comedian all from within your Skype window. Finding your next great experience is as simple as talking to your friends. CLICK HERE to read the full article and find out how Microsoft partners are innovating their customer service and interaction processes with the power of Chatbots! To learn more about Chatbots and how Tallan’s Chatbot Technology can automate your customer support processes while maximizing your outreach, CLICK HERE.